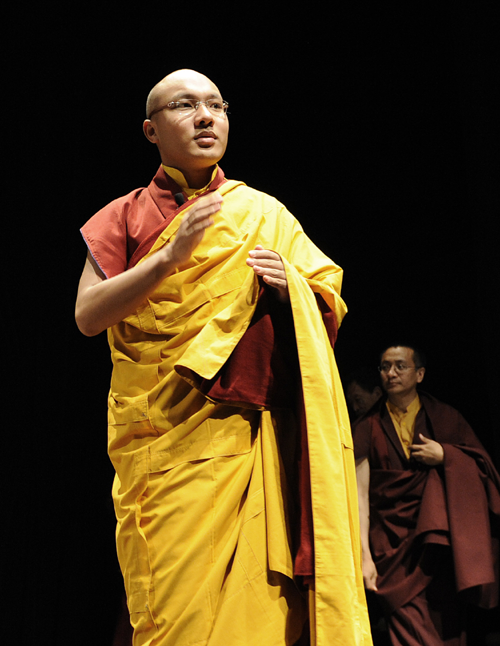 The Karmapa Lama, Ogyen Trinley Dorje, head of Tibetan Buddhism’s Kagyu sect, ordinarily resident in India, has been abroad in the US for more than a year. There is uneasy in Delhi over his long stay away and whether he would return to India for an important Buddhist conference convened by the Dalai Lama in November in Dharamshala. There are rumours that the Karmapa may go to China or seek asylum in the US. The 17th Karmapa Lama’s return to India has great significance for India’s Tibetan policy. The head of the third most important sect in Buddhism, has chaffed government’s restrictions on his movements. According to media reports, while in the US, the Karmapa acquired a passport from the Dominican Republic that allows him visa free travel to a large number of countries. Tibetans living in India travel abroad on an identity certificate issued by the Government of India that is valid for three months. But many Tibetans complain that an increasing number of countries no longer recognise the document. The Karmapa Lama had not received a warm welcome in India when he escaped in the year 2000 from his minders in Tibet. His unannounced arrival in Nepal had caught the Indian security agencies napping. Though the daring escape had caused great embarrassment to the Chinese government, a dominant section of the Indian security establishment believed that the 15-year old monk had covert Chinese official support to cross over the Tibet border. There was a degree of suspicion about the young monk in the Indian establishment that took a long time to diminish. The wariness never really died down as the different governments in New Delhi retained the restrictions on the Lama’s movements within the country. The Lama has lived in India under strict surveillance and limited access. Senior Kagyu monks have also faced difficulties meeting the Karmapa as well as in travelling within India and abroad. It is only in 2015 that New Delhi lifted domestic travel restrictions by allowing him to visit Arunachal Pradesh and Sikkim, though he remained barred from visiting the Rumtek Monastery in Sikkim. There was another claimant to the title, Trinley Thaye Dorje, who had many followers though Ogyen Trinley Dorje was recognised by the Dalai Lama and the Chinese government. Both claimed control over the Rumtek Monastery, which resulted in a court case. In 2011, a state government raid led to recovery of undisclosed cash, some in Chinese currency in the Karmapa’s monastery. The Chinese currency was taken as evidence that the Lama was in touch with the Chinese, even though he explained that the money was gifted to him by his followers, some of whom had come from Tibet. The Tibetan community, especially the younger generation, some of whom were born in India, are restive over the restrictions they face as they are not citizens, nor have the full rights of citizenship. Problems for Tibetans have increased as an increasing number of countries are refusing to recognise the travel documents under pressure from the China government. There is a steady stream of Tibetans in India seeking to move to the US, Europe and other countries every year. The number of Tibetans crossing the border to reach India has progressively declined. The Nepal government which is keen to develop closer ties with Beijing has been taking action to restrict the activities of the Tibetan community in Nepal. It is also making it difficult for Tibetans to cross the Tibet border into Nepal for the last few years. The Indian government’s Tibet policy is in doldrums. In a delicate stage in its ties with Beijing, the government conveyed to the Dalai Lama that the events to mark the 60 years of Tibetan exile in India should not be as high-profile as planned and would be better held at Dharamshala. Central ministers were directed to keep away from the 60th anniversary functions. The Tibet issue has been used by India as a pressure point in its interaction with China, discreetly by previous government but more overtly by the NDA government. But following the strains in India-China relations, New Delhi was forced to change tack. With China’s rise as an economic and military power with a massive Belt and Road Initiative to engage with a host of countries, the Tibet issue has lost ground internationally. Beijing’s swift and harsh response to any state welcome to the Dalai Lama has added to the distance. Beijing’s sinicisation strategies in Tibet have brought demographic change and modification of the Tibetan lifestyle. The Chinese strategy has involved reaching out to the Tibetan diaspora and some Tibetans have gone back to China. It is working on various ways to control the process of selecting a successor to the octogenarian Dalai Lama. The Karmapa would have a role in accepting the successor.